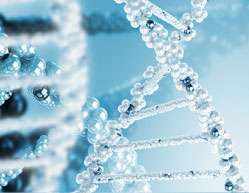 services to help develop and shepherd preclinical compounds into clinical trials. chemical synthesis, scale-up synthesis, process optimization and hazard assessment. In addition, we perform a full range of analytical services to bridge the gap from early discovery to clinical trials, in order to help you advance your lead compounds through the R&D pipeline. Developing a drug candidate for clinical trials can pose numerous challenges, including meeting aggressive deadlines with a new compound and synthetic route. Unexpected things have a potential to happen during this period. Therefore choosing a reliable & experienced partner at this stage is critical to success. As your compound transitions into human clinical trials, we provide cGMP synthesis of active pharmaceutical ingredients and intermediates. Our experienced scientists, with the ability to conquer even the most difficult challenges, along with specialized capabilities in the development and production of controlled substances make us a preferred partner. All of our synthesis capabilities are fully supported by in-house analytical services, including preparative chromatography, solid state characterization, hazard assessment and regulatory services. Our full menu of technologies allows us to minimize technology transfer issues. Our chemical development scientists at Chemieliva Pharmaceutical Co., Ltd have the skill and experience to meet a wide range of outsourcing needs: from custom synthesis to scaling up an existing route, to process development and optimization. At each step of the process development cycle, complete hazard assessment tools are available to allow for safe production of your compounds. We offer full-scale commercial cGMP manufacturing. Our chemical development department can assist you through. If you need milligram quantities of material, think of our chemical development department. We have a proven track record of preparing a wide range of compounds on an equally wide range of scales. As your requirements expand, we meet your needs in a timely and cost-effective manner. Since the initial synthesis used to prepare a few milligrams may not be suitable to prepare tens to hundreds to thousands of grams of your target compound, we will adapt and adopt a synthesis that makes the best suits your needs. If you already have a demonstrated route and need it reproduced in a timely and efficient manner, we will exceed your expectations. Along the way, we will identify and develop steps as appropriate for scale or safety considerations. We can develop new and proprietary routes to existing compounds, or take an existing synthesis and develop a scalable process using our in-house talent and state-of-the-art technology, including, statistical design of experiments (DoE), real-time reaction monitoring to generate detailed reaction/impurity profiles, and reaction calorimetry for hazard assessment and further process development. Our staff has experience in developing and transferring projects from our research laboratories to our cGMP manufacturing plant. We can assist you in identifying and developing practical purification strategies, whether it is for chemical purification or control of polymorphism of crystalline compounds. Once your project reaches this level, we provide commercial cGMP manufacturing at Chemieliva Pharmaceutical Co., Ltd. Your project will benefit from seamless technology transfer as the team that guided your project through development follows it through commercial manufacturing. Few decisions in pharmaceutical R&D are as critical as selecting the right cGMP manufacturer for a small molecule drug. Promulgated by the U.S. Food and Drug Administration, cGMP (current Good Manufacturing Practice) regulations and guidelines govern the manufacturing, use and testing of drug products and their components, including active pharmaceutical ingredients (APIs), intended for use in humans. APIs manufactured to cGMP standards for clinical research or commercial sale must meet requirements for identity, strength, quality and purity. Our strength in process research and scale up, coupled with our wide range of cGMP synthesis capabilities, is well known in the industry.